Here it is, the cookie that might very well rival the Clairesquare. I was sent two famous items from the Chilean Sweets company, out of Maine, two traditional Latin American desserts: Dulce de leche and alfajores. 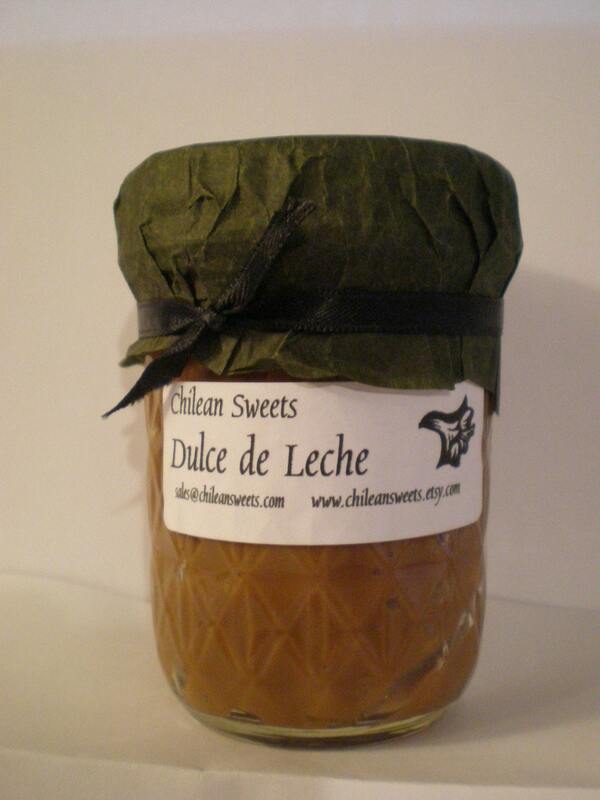 Dulce de leche is that caramel sauce we all know and love. It’s paired excellently with pancakes, ice cream, and, in the case of the alfajores, cookies, but like Nutella, I ate this out of the jaw in spoonfuls. It’s an achingly sweet caramel, almost a large, soft caramel candy than a sauce, with creamy undertones from its milk base. I made pancakes with these this morning, using the sauce in two different ways. I incorporated the sauce into the pancake batter, as a starter, and then used it as a topper. It was definitely superior as an addition to the batter, but melted nicely on top. In the batter, it caramelized the outside of my pancakes and gave them this complex, buttery, salty flavor that made them perfect without needing any topping at all. They were moister and still maintained a dignified fluffiness. This particular sauce is so deliciously authentic. It’s a wonderful addition to any dessert, and perhaps a few savory dishes, too. I’m definitely going to use this in a baking project, as it is too good and rich to pass up. The real treat in this selection were the alfajores, though. 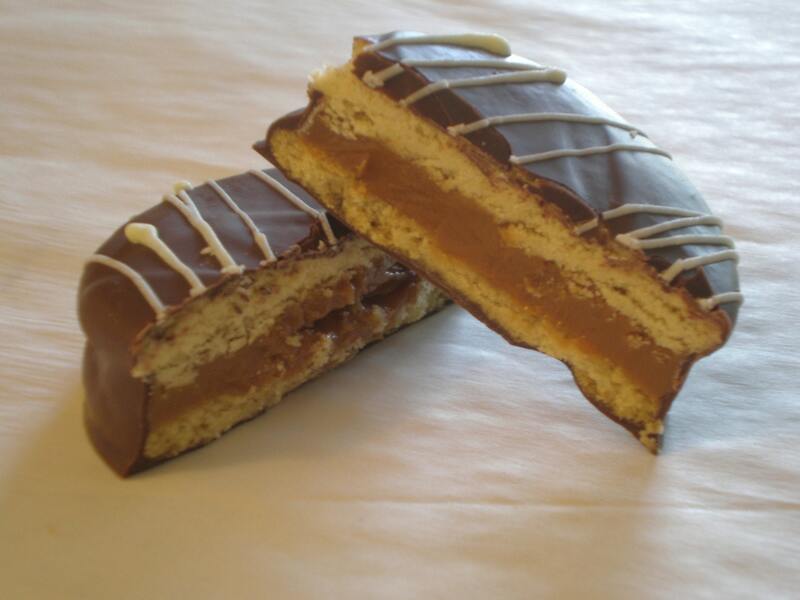 Alfajores, or the singular, alfajor, is a traditional cookie made with two graham or shortbread-like cookies, sandwiched with dulce de leche in the middle, and coated with chocolate or coconut. These particular alfajores broke my Chilean cherry into the most indulgent and incredible cookies. They were wrapped like those little soaps you get at hotels, in dark green paper, and when I got them, were almost completely melted, but with the richness of the chocolate, peeled off the paper incredibly and just collapsed in my mouth. Quite simply, they’re one of the most amazing treats. The cookie base is soft, but holds up to itself, like a graham, as it’s eaten. The chocolate keeps it firm and inside, just before it completely collapses in on itself. The dulche in the middle is perfect, and regardless of the temperature, the cookie melts in your mouth. The chocolate on the outside is a fine chocolate, that coats the cookie entirely, not a bare spot to be found, and encases it entirely. The dessert is rich and large and can easily be split with two people. Wow, two tens in two days. Send me crap, people. I have to keep up my image, here. these alfajores are amazing!!! they are now my favorite dessert. My little girl loves them too!!!! Thank you chilean sweets for your excellent alfajores and i can’t wiat to taist your next creation!